Tomorrow is the final day of training in Uganda! Our South Sudanese sisters have been so teachable and really embraced the training. Both Sarah Peters and Sarah Tountas have done a fantastic job teaching and the African ladies have grown quite fond of them (the women have nicknamed them Tiny Sarah and Mama Sarah – both terms of love and respect). Every one of the African women developed a business plan based on the Microenterprise Training. We spent two hours listening to their plans, which all included a focus on sharing the Gospel and helping the poor. It was an astounding and humbling experience since they are quite poor themselves – some of them even live in refugee camps. Biblical leadership principles came to life as they discussed how God’s word applies to their everyday situations. They seemed to treasure every moment together with one another and with us. Tomorrow evening we will drive to the refugee camp and ministering to women there. Please pray for the 8-hour road trip, for safety, joy in the journey, and that God will give us eyes to see what he sees. 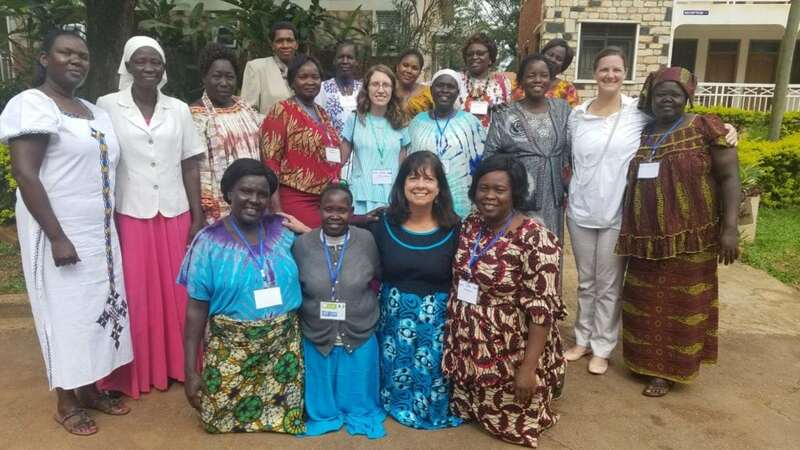 That God would provide the seed that the Sudanese women need to start or grow their businesses to care for even more vulnerable children and orphans in their distress. That the women would be confident in using and teaching all the new skills they have.